-GM Milos Perunovic and GM Danilo Milanovic made an extensive report on the 2017 European Individual Chess Championship held in Minsk, Belarus, presenting two fully annotated and very important games played by the winner Maxim Matlakov (RUS), and thirty beatiful examples of attack, combinations, blunders and instructive endings. -Currently #1 ranked Serbian player (ELO=2672), GM Robert Markus explains what a strong GM has to do when changing his opening repertoire with black pieces, sharing a very deep research on the Alekhine Defense. -The 2017 Serbian Champion, GM Ivan Ivanisevic explored the hedgehog pawn structures and has been trying to find a way to crack them open. The basis for his research were the games from tournament practice and Ivan goes through them with a conclusion about the best setup for White. -The attention of GM Milos Perunovic was caught by the variation in the Sicilian Defence after 1.e4 c5, 2.Nf3 d6, 3.Nc3 Nf6, 4.e5! ?, that was once again brought to life by Azerbaijani GM Rauf Mamedov. -The best Montenegro player, GM Nikola Djukic shares an opening review of the 3…Qd8 Scandinavian, which served him well in many games he played over the past years, where even Magnus Carlsen could not claim any advantage as White, but instead adopted it as Black vs Fabiano Caruana. -IM Goran Arsovic is an expert for the Najdorf Sicilian, as he has been playing this variation with black pieces since his youth days. His permanent work as a member of Chess Informant’s Editorial Board keeps him constantly well-informed about any novelties in his pet line. Goran presents a new trend that has recently hit even the world’s elite players, referring to 6.a3 and 6.h4 - attempts to explore new territories of this complex opening. -GM Danilo Milanovic invites readers to follow his research on the latest trend of meeting Anti-Gruenfeld with the move 3…Nh5. This fresh variation with lots of possibilities for both sides, leads to very much original positions and this is the reason that younger generations gladly choose it rather then some more explored options for Black. 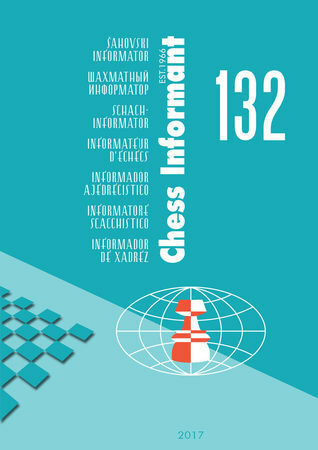 -National individual championships of Serbia and Croatia were enriched with fighting chess. GM Branko Tadic and IM Srdjan Sale present their overviews of these tournaments sharing the most interesting games, theoretical novelties, combinations and endings. -GM Yochanan Afek brings the selection of studies from the Alexey Troitsky-150 Jubilee Tourney. 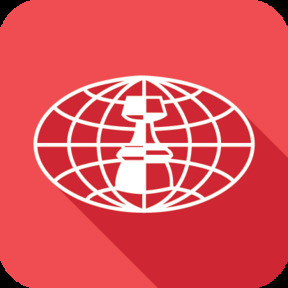 -Traditional games’, combinations’ , endings’ and Tournament review sections.